Like many states, a driver in Alaska must have minimum vehicle liability insurance in order to drive. SR22, which stands for safety responsibility, is one of the essentials, verifying that someone has automobile insurance. It is prepared by an insurance company and then filled with the department of motor vehicles. SR22 is not an insurance policy in itself. It basically provides evidence that you have a policy. Here is some important information about SR22 insurance Alaska and how the premiums are determined should you obtain one. So, what exactly is SR22 Insurance? This is basically a document that provides proof of fiscal responsibility. It shows that you as a motorist have acquired and is carrying continuous liability coverage. Should this coverage be cancelled or otherwise lapses, your insurance company takes up the matter and reports it to the Division of Motor Vehicles (DMV). Do you need SR22 Insurance if you reside in Alaska? If you have had moving violations that would otherwise make you high risk, like reckless driving and DUI violations, then an SR22 will be required if the driving privileges are to be reinstated. This is mostly helpful when your driver’s license is suspended or revoked. 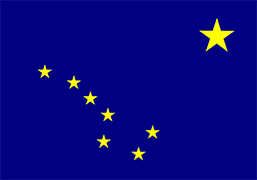 How many types of SR22 forms are available in Alaska? There are two different forms of this policy in Alaska. 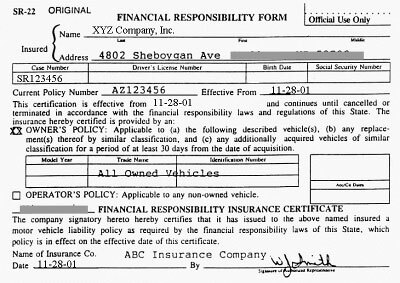 First, there is the owner’s certificate, which is offered to the vehicle owner, and the operator’s certificate, which is provided to the motorists who drives a vehicle that isn’t theirs. The usual period to maintain an SR22 insurance policy in Alaska is for three (3) years. Make sure that you do not let your sr22 insurance lapse to avoid having your license suspended again. Is it a requirement to have SR22 insurance Alaska? Well, yes. Coverage must be continuously maintained for a majority of offences that requires the auto insurance, and this must be done for a minimum of three years starting from the date of the revocation. In an event of DWI convictions and refusal, it is however required for a period of 5 years beginning from the end date of the first offence, 10 years on the second, and 20 years for the third. If you have had four refusals or DWIs, then lifetime coverage is deemed to be mandatory. How will your premiums be calculated? Your insurance provider takes various factors into consideration in order to determine your premiums. Firstly, your driving record and accidents, which includes DUIs, moving violations and accident rates, will be looked at. Your credit score, miles driven, occupation, type of car, and location will also be considered. Other obvious considerations include age, gender and your marital status. What’s interesting is that women who have fewer accidents usually pay less than men, while a married person will receive lower rates since they are considered more stable. You can easily lower your annual premiums just by having a higher deductible. I personally like to carry a $1,000 deductible and it saves me a $190 a year or so because of it. You only have to pay that deductible when you have a claim and your insurance company pays out on that claim. You pay your deductible to repair your car only. How can you file an SR22 Insurance Alaska form? You can file this insurance through your insurance provider, which is done after paying a certain fee. Your provider will then file the form with the DMV (department of motor vehicles). Keep in mind that Alaska takes this very seriously and you would expect to be penalized if you don’t comply. If you want to get a quote from insurance providers, you can do so by keying your information and find out how to save for the insurance today. may still be required to get SR22 insurance. This time it will be in a form of non owner SR22 insurance. A non owner SR22 insurance Alaska is simply a form of car insurance that shows proof that you have an existing car insurance policy on file. You need to file this to an auto insurance provider that is licensed to do business in the state of Alaska. You will also need this to have your license reinstated. car insurance company information (name of the company, policyholder’s name and address, policy period and number). Normally, also for the non owner SR22 insurance Alaska, you will be required to carry it for a period of 3 years. Driving under the influence (DUI) of alcohol or any other controlled substance is considered a serious offense by the United States government, and Alaska is not an exception. This particular offense has been increasing alarmingly in all states and has been responsible for causing thousands of death in the past year. In Alaska, if a motorist is arrested for DUI, he or she is faced with criminal suit and administrative license action. Part of these penalties is the revocation of a motorist’s driving privileges. In Alaska, those who get caught for the first time for DUI face 90 days suspension of driver’s license. Aside from this, a motorist has to carry high risk car insurance coverage for three years. Policyholders who have been cited for DUI are considered an unfavorable risk for any car insurance company. This infraction could result to increased premiums. Aside from the fact that high-risk car insurance already costs too much, a policyholder with DUI citation will be closely watched by any insurer to assess if a policyholder will still be maintained. An individual with this type of driving record may have a hard time renewing his or her insurance policy. Worse, complete cancellation of car insurance coverage will be considered if a policyholder proves to be a big liability to the car insurance company. Copyright © 2019 SR22 Insurance Alaska. All Rights Reserved.